Discussion in 'South Asia & SAARC' started by Tailchopper, Jul 8, 2010. Please NOTE : Official Answers to AEW assets that were hit in PAF Minhas ! - ie 3 Eryieye Frames were hit - 2 repair - and 1 was a right off! - repairs were done with the help of the Swedes! - one can guess why ISPR said otherwise ! Grevion, Hellfire, Vergennes and 3 others like this. did you even read it, the swedes did not at first supply the part but then later agreed to supply the parts, they [the pakistanis] actually installed and fitted the spares. ??? And your point is? If i didn't read this how did i post the same? Yes THEY (PAF) repaired the frames with the help of the swedes ie they helped by supplying the spares - so what did i say wrong? Again what is your point??? 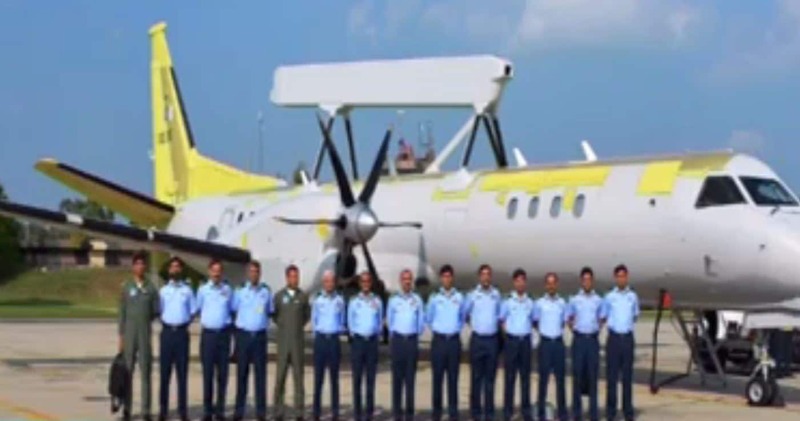 In an interview with the state-owned television broadcaster PTV, several of the Pakistan Air Force’s (PAF) leading engineering officers outlined the process the PAF undertook to repair two damaged Saab 2000-based Erieye airborne early warning and control (AEW&C) aircraft. The interview included Air Commodore Rizwan Riaz (a PhD in Aerodynamics and specializes in structural repair and certification), Air Commodore Shakeel Safdar (a PhD in Structural Design and Repair) and Wing Commander Muhammad Rafiq, who presided the implementation of the Erieye AEW&C repair program. In August 2012, nine Tehreek-e-Taliban Pakistan (TTP) assailants had infiltrated and attacked PAF Minhas in Kamra with the apparent aim of attacking the Erieye AEW&C. The result of the attack left one Erieye as a complete write-off and two others damaged. The fourth Erieye AEW&C was not present at the base. In effect, the attack had left the PAF with only one of its four originally ordered Erieye AEW&C aircraft. The PAF – along with Pakistan Aeronautical Complex (PAC) – took the lead in trying to resurrect the two damaged Erieye AEW&C. It succeeded in recovering the two aircraft, with the first returning in 2015 and the second in 2016. In October 2016, the Chairman of the Senate Standing Committee on Defence lauded PAC for its role in the recovery process. In May 2017, the PAF told Air Forces Monthly that it ordered three additional Erieye AEW&C from Saab, with the first due in December 2017. The Pakistan Ministry of Defence Production’s (MoDP) yearbook for 2015-2016 registered the “recovery” of a “fourth AEW&C system” at a cost of $130.39 million U.S. In May 2016, Saab announced an order for its AEW&C division worth $132 million U.S. It appears that this unit is the first of the three new aircraft, which would eventually bring the PAF’s Erieye fleet to its originally (pre-2005) force of six aircraft. The PAF entrusted Safdar to carry out its own damage assessment of the two aircraft. 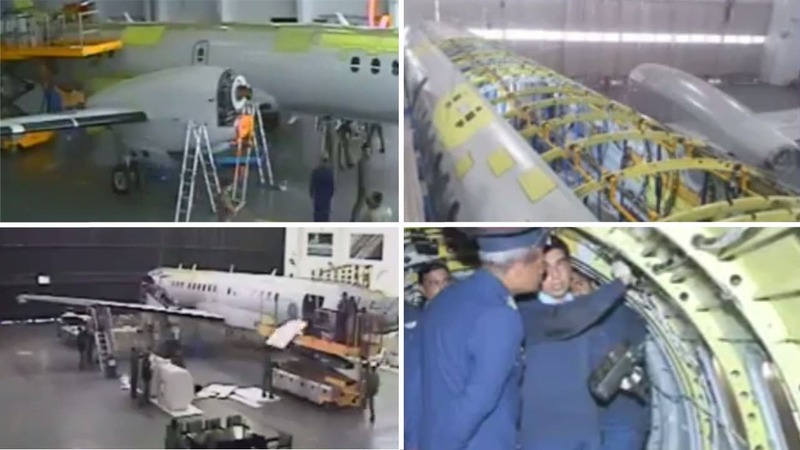 Upon the study’s completion, Air Commodore Safdar had presented the results to Saab, after which Saab recategorized the aircraft as being repairable and supported the PAF’s proposed repair scheme. Safdar noted, “However, once we discussed with them and we gave our proposals of the whole plan which we made … they were … very open minded.” The PAF raised two teams: a structure repair team and a systems recovery team. The structure repair team, also comprising of PAF engineers, provided a theoretical model for the repair work, which was then implemented by an engineering team led by Wing Commander Muhammad Rafiq. Air Commodore Riaz’s aerodynamics and certification team was responsible for ensuring that the repair work was in accordance to international standards. Riaz noted that besides being able to certify the repair work on the Erieye AEW&C, the initiative allowed the PAF to gain “the capability of being able to certify any military aircraft, another capability we gained out of this incident.” In fact, Riaz added that although Saab had permitted the PAF to recover the aircraft, the company did not intend to endorse the aircraft or repair work. However, upon assessing the PAF’s design work, implementation process and certification requirements, Saab “accepted [the two aircraft] back into their registry, in a way putting their stamp of approval.” To achieve this feat the PAF both embraced existing international standards and, where none were in place for tasks, define original ones to assess and certify the repair work. Another Pointless Post!!! ..... sad ..... Atleast you are consistent! It can be said that a fleet of fifth-generation stealth fighters can be the very hallmark of a top-notch air force. For quite some time the US Air Force was the only member of the elite club, with its F-22 Raptor and F-35 fighters dominating the skies since their respective inaugurations in 2005 and 2015, until the J-20 shot China into the same league this year. Russia is apparently stuck in its decades-long development endeavor for the Sukhoi Su-57, with a slew of technical glitches, design flaws and accidents that may ground the fighter for a number of years to come. Japan has also been following the trend to develop fifth-generation fighters with its X-2 Shinshin, albeit at an early stage, with the prototype’s maiden flight in April 2016. Fifth-generation fighters must meet criteria ranging from stealth to high maneuverability, particularly short-field capabilities, advanced avionics, networked data fusion from sensors and avionics, and multi-role capabilities. Nations eager to launch their own cutting-edge tactical fighter aircraft must have resolve and deep pockets. The reason countries still hold on to their various fifth-generation fighter programs is all about posture, as no major power can afford to lag behind in the race to develop super-fighters, even if that means pouring in substantial resources with no guarantee of surmounting the high technical and financial threshold, PLA Daily noted in an editorial in a feature about the J-20’s inauguration in April. Meanwhile, it has also been revealed by China News Service on its affiliated WeChat account that China may be considering sharing its J-20 technologies with allies such as Pakistan, amid the latter’s long-running feud with India as well as the strained Sino-Indian ties following a stiff face-off since June on the Doklam Plateau, a border area claimed by both Beijing and New Delhi. Beijing may also want to compare notes on fighter development with Moscow and invest for a stake in the Su-57 program, with is now running on a shoestring budget, in exchange for the latter’s expertise in aerospace and rocket and missile development. Hahaha .This news made my day .I am loving it. BlackOpsIndia and Butter Chicken like this. Pakistan automatically inherit every tech China get, at least in media and "defence experts" mind. BTW you got JF17 full tech transfer or still importing and assembling?